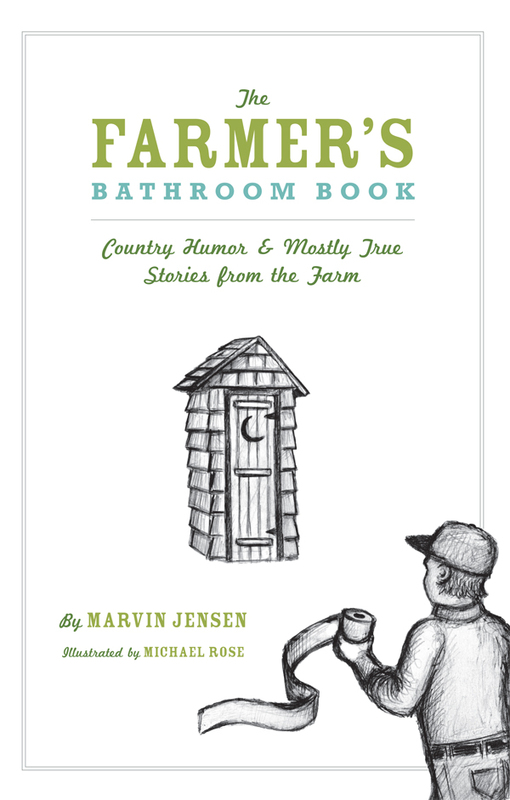 For additional information about this book, visit the website FarmersBathroomRuralHumorBook. • Your daughter, working part-time at McDonald’s, makes twice as much money as you do. • You drive a $275,000 tractor and a $500 car. • You would love to see an animal rights activist’s Chihuahua eaten by a coyote. • You look forward to retirement because your income will go up. even climbing Mount Kilimanjaro, Jensen recalls his farming and life experiences with utter candor and derisive humor. The Farmer’s Bathroom Book is perfect for those with short attention spans, to be enjoyed while working on other, more important things. The purpose of the "Farmer's Bathroom Book" is to record the true life experiences of a commercial farmer and write about these experiences in a manner that doesn't take life too seriously. Some local folklore is also included that may not be totally real, but was told to me as real. I am gullible. The stories are to be read in short time periods as farmers, and their families, do not have time for lengthly novels because of their busy work schedule. Readers are encouraged to multitask with other more important activities while enjoying this book. Marvin Jensen is 73 years old. He can honestly say he was born in a log cabin (actually a log house), within 40 feet of where he now sleeps. He and Abe Lincoln. He is infected with the farming disease. While, he has worked off of the farm during periods of crisis, which seem to happen fairly often, he has always returned to full time farming as soon as the finances permitted. He loves beef cattle, tolerates pigs, and detests turkeys. Married Marlys-1966. Three Kids. Four Grandkids. Own 1900 acres respectable cropland. Raise corn & soybeans.